HomeCategoryWorldKitty litter caused a nuclear explosion! Kitty litter caused a nuclear explosion! 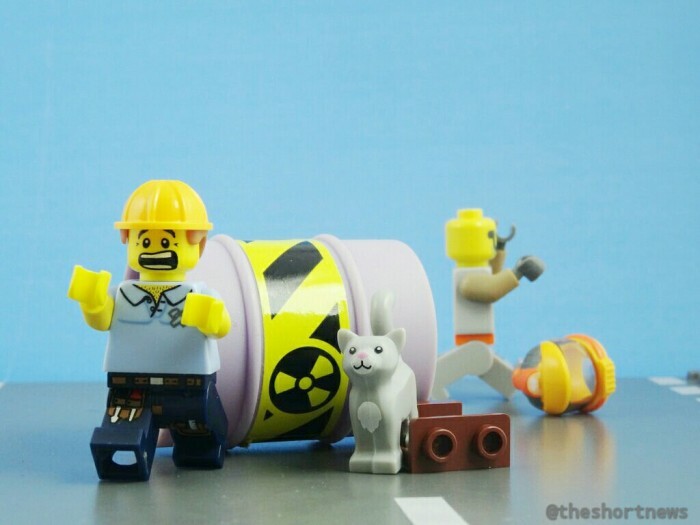 An investigation into a nuclear explosion in New Mexico last year revealed that it was caused by a reaction between a barrel of waste and organic kitty litter! The report found that a contractor used a wheat-based kitty litter in the offending barrel, which sparked a chemical reaction, causing it to heat up and generate gases that dislodged the lid, spewing radioactive materials. Inorganic kitty litter is often used to absorb liquids and pack nuclear waste. Although the report did not explain why the contractor made the switch to Swheat Scoop® kitty litter, it’s been reported that it may have resulted from a simple typo. The radiation accident occurred at the Waste Isolation Pilot Plant near Carlsbad on 14 February 2014, but the packing of the drum occurred at the Los Alamos National Laboratory near Santa Fe.